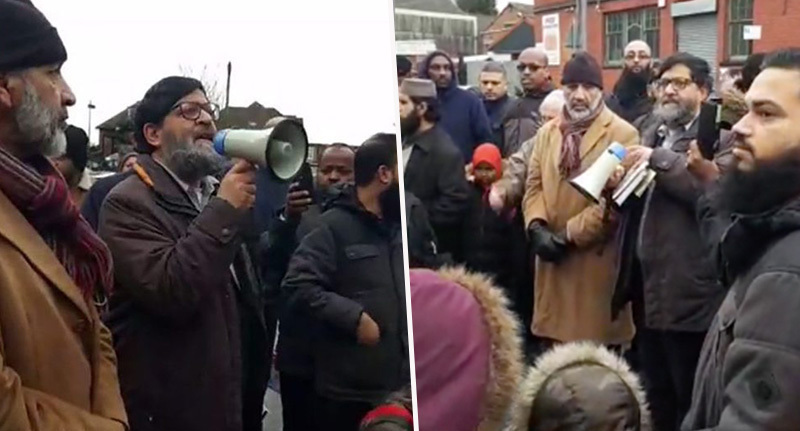 Parents of school children at a West Midland’s primary have been protesting against a homosexual teacher, whose role is to teach diversity and acceptance to a young generation. Assistant head of Parkfield Community School in Alum Rock, Birmingham, Andrew Moffat, said he’s received ‘nasty emails’ and threats, including one which warned he ‘wouldn’t last long’. Moffat, who was made an MBE for services to equality and diversity in education in 2017, has been subjected to chants of ‘Say no to Moffat’ outside the school’s gates, after a crowd of around 100 protesters turned up. I’ve had some nasty emails, I’ve had some comments on messenger. I have felt very threatened… it’s been a challenging couple of weeks. However, what keeps me going is the support from the school which is absolutely brilliant, the DfE, Ofsted, the city council. There are lots of people recognising this work is important and that’s what you have to hold on to. The No Outsiders project was first created and piloted by Moffat at the school, which is classed as ‘outstanding’ by Ofsted, in 2014 and aims to educate children to accept differences in society. Some of the syllabus teaches about homosexuality, gender identity and LGBT+ issues. To be honest, it sounds interesting, inclusive and thought-provoking, and I bet a lot of kids would love to learn about life in all its wonderful diversity. Indeed, dozens of schools across the country have taken up the syllabus. But hundreds of parents of Parkfield kids, who live in the predominantly Muslim area, aren’t happy and say their kids are too young to be learning about sexuality. There are very few people in education I respect as much as I respect Andrew Moffat. A petition has since been started by ‘Parkfield Parents’ calling for him to be withdrawn as a nomination for the Global Teacher Award, which he was put forward for last year. It has been signed by 400 parents. We have no objection to the promotion of respectful treatment of all people. Everyone is different and we accept it. If it was in secondary school then fine, but my daughter is in Year 3. I just don’t agree with it at all. 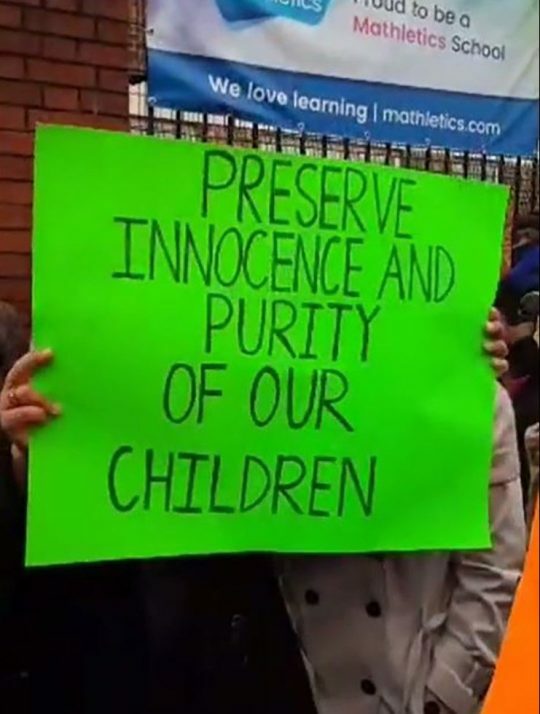 In a statement released after the latest protest, the school said it was ‘disappointed’ in the lack of acceptance from parents but had no plans to change its teaching.